Finland, 2003. 1,628 people are about to take part in a fifteen-year-long experiment to investigate the results of more regular sauna use on their vascular health. They all have a one thing in common; none of them have a history of strokes. 197 of them will take a sauna four to seven times a week. The rest will have sauna sessions fewer than three times a week. They will go on to be observed over a period of 14.9 years to see how many strokes or issues with vascular health there will be. The results? Just 6% of the total participants ended up having a stroke within the next fifteen years. Compared to those that had just one sauna session a week, the risk of a stroke was reduced by 61% for those that had four to seven sessions a week. This result didn’t change, even when adjustments for heart conditions and other risk factors were introduced. Researchers found that sauna bathing has beneficial effects on the stiffness of the arterial wall in one’s heart. This stiffness is linked to heart disease as it affects the heart’s ability to pump blood around the body. It is believed that ‘sauna bathing may be associated with a reduced risk of high blood pressure, dementia and death from cardiovascular disease’, Dr Kunutsor explains. Saunas are a great place to relax, and there is increasing evidence of the health benefits of saunas. They can help reduce the risk of strokes and can, as Dr Kunutsor says, help ‘have a blood pressure lowering effect, which may underlie the beneficial effect on stroke risk’. 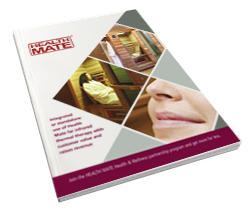 Health-Mate Saunas provide the UK’s highest quality Home Sauna Cabins that can be easily installed in any room in your house. Our saunas and all of the components used are a higher quality, last longer and are more robust than competing products. Please feel free to contact us to arrange a viewing or if you would like any further information.